Most of my favorite restaurants are in town. That's about 20-30 minutes too far sometimes. I'm an impatient puppy when I'm hungry, so you better get me food ASAP! So to my delight, I was glad to have found Pa'ina Cafe right in my neighborhood!! Their original restaurant is located in Ward Warehouse by Town and Country Surf, but they opened one in Koko Marina about a couple months ago! So so so happy!! What are they known for? Their Poke Bowls!!! And I have to admit, it was delicious. I needed to lie down after because I was so incredibly full and scarfed it down in a matter of minutes! They do offer a wide selection of other things like Salads, Soups, and Sandwiches, all of which sound mouth-watering. I wanted to order the whole menu! But I'll have to be patient and take my time. The Poke Bowls are very customizable- you pick white or brown rice, then you pick what poke you want (they have 5-6 different pokes including Spicy Tuna, Wasabi Masago Ahi, Spicy Shoyu Ahi, Shoyu Ahi, Limu Ahi, and daily poke specials), and finally you have a choice of toppings to choose from, which are all 50 cents. Such toppings include Seaweed Salad, Taegu, Pickled Cucumbers, Onion, Furikake, sliced Nori, or Takuan etc). There is also a choice of the Hawaiian Poke Bowl, which I ordered, and which I must say, was "ONO-LICIOUS!!!" Another option I want to try- their Caprese Salad which includes all of my favorites: Mixed Greens, Artichoke Hearts, Buffalo Mozzarella, Olive Tapenade, Vine-Ripened Tomatoes, Fresh Basil and Balsamic Vinaigrette. YUM-O! Plus you can add your favorite poke for only $3! 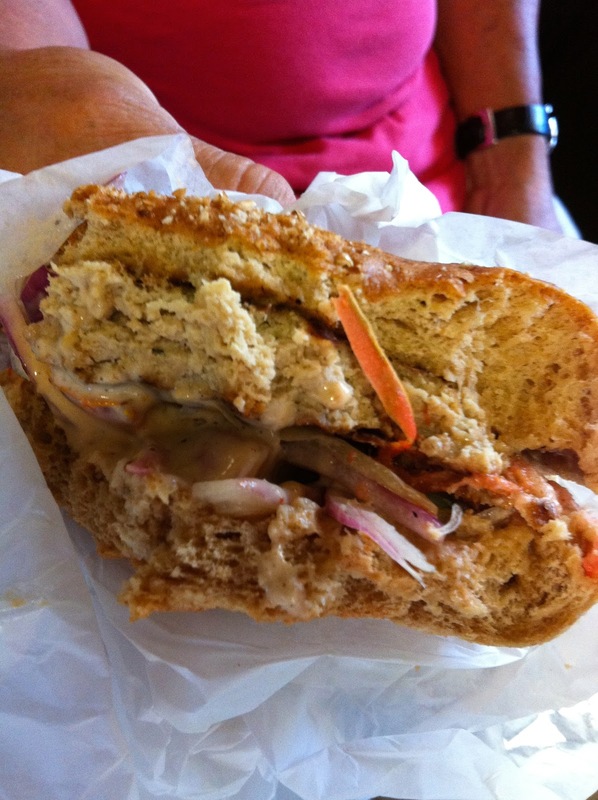 If you're not in the mood for Poke, add their Ahi Tofu Burger on it, or Steak, Salmon or a Veggie Skewer! The possibilities are endless! I love variety, and that's probably why I love this place. So many options for every type of person and their taste buds. Also, another plus- they let you sample the pokes if you are unsure of which one you want. I tried the Wasabi Masago Poke and asked to try the Spicy Ahi too. Took a bite of the Wasabi Masago, said "mmm, I want this one...but I still want to try the Spicy Ahi....," took a bite of the Spicy Ahi, and changed my mind! The Spicy Ahi really IS that good!!! Ok, let's get onto the best part! The pictures! 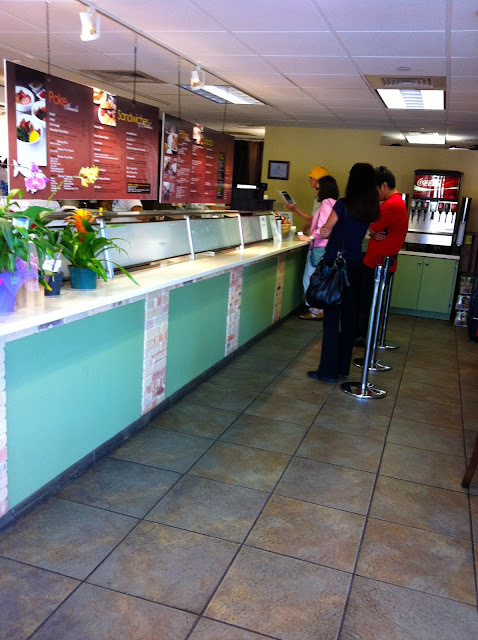 Located in the old "Aloha Salads" restaurant, right next to Teddy's Bigger Burgers. Hawaiian Poke Bowl!! 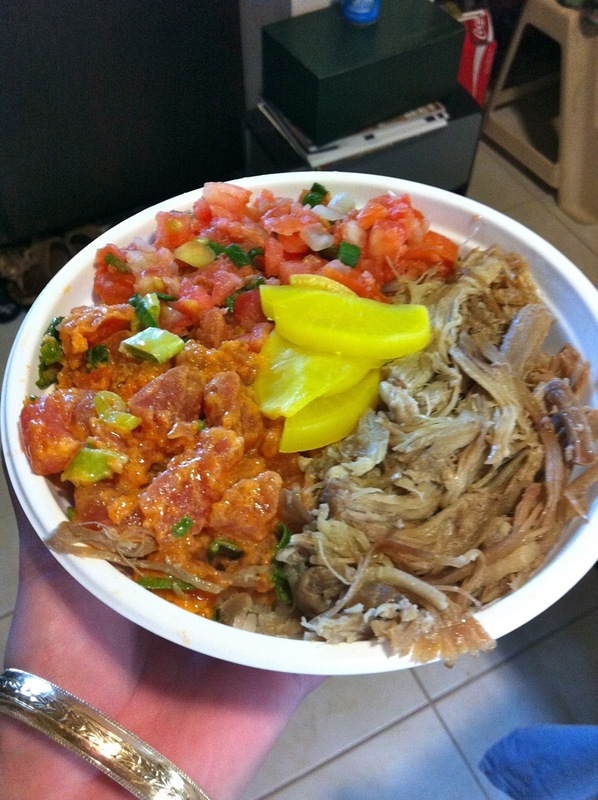 Comes with rice, Kalua Pig, Lomi Salmon and your choice of Poke. I chose their specialty, Spicy Ahi. The only negative? I paid 50 cents for Takuan and only got FOUR slices of it. But, I'd still order this and pay the 50 cents for four slices of Takuan. 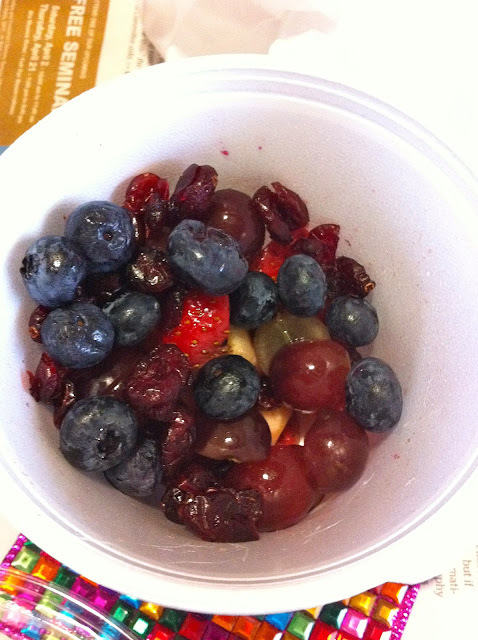 Mixed Fresh Fruit Bowl- Strawberries, Blueberries, Grapes and Dried Cranberries! You can also ask to have it with honey + coconut OR with yogurt + granola. Ok, I know what you're thinking. Typical fruit bowl, but I think the secret here is the dried cranberries! 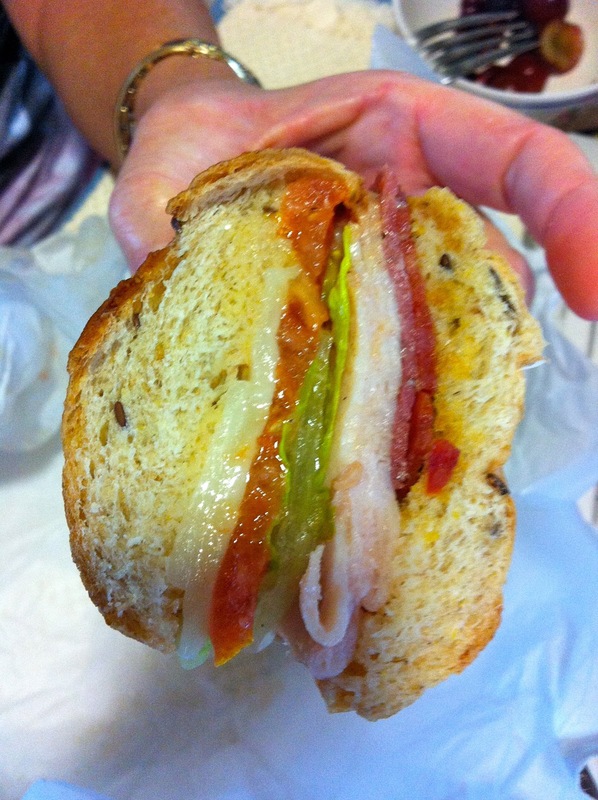 It really adds a different texture and taste to it. I like that they put their own touch on it. I'm craving the fruit bowl again!! plus he really liked all of the onions and garlic aioli sauce! lettuce, Mayo and Red wine Vinaigrette. Grade? A+. 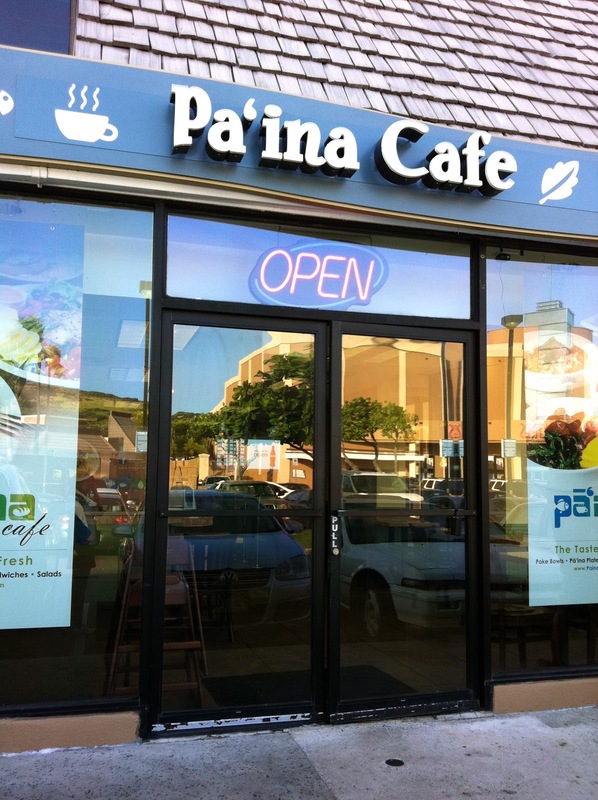 I'm eating there tomorrow! Kimmie dear, thanks for that really sweet comment. It made me feel better inside :) sometimes people who aren't dog people don't understand the feeling of losing a pet but to me they are truly apart of the family. I'm still trying to cope with it and yes I know it will get better later. Anywayssssss, I've just recently been really digging poke bowls and I'm glad you mentioned this place because now I'm gonna try it out next time I'm near that area :) And yes spicy ahi is always the main pick!! !